If I said that I didn't buy any books this week would you believe me? Okay so this is my first stack, I had a little money and I got very attached to all of these books. I've already read Fortunately, The Milk and it was AMAZING. And then I um, spotted these in a charity shop. I started reading Thirteen Reasons Why while eating a terrible sandwich and it was just as good as I remembered it - I read it a while ago but never reviewed. Of course I've read this, back when it was first released but I've never owned a copy. I seriously love the movie poster so I'm glad that I waited. I also got an owl necklace! It's been both a bad week for reading and seriously great one. I rated all of these books 5/5, except NoCaP, which I rated 4/5. I seriously loved Since You've Been Gone and Fortunately, The Milk. 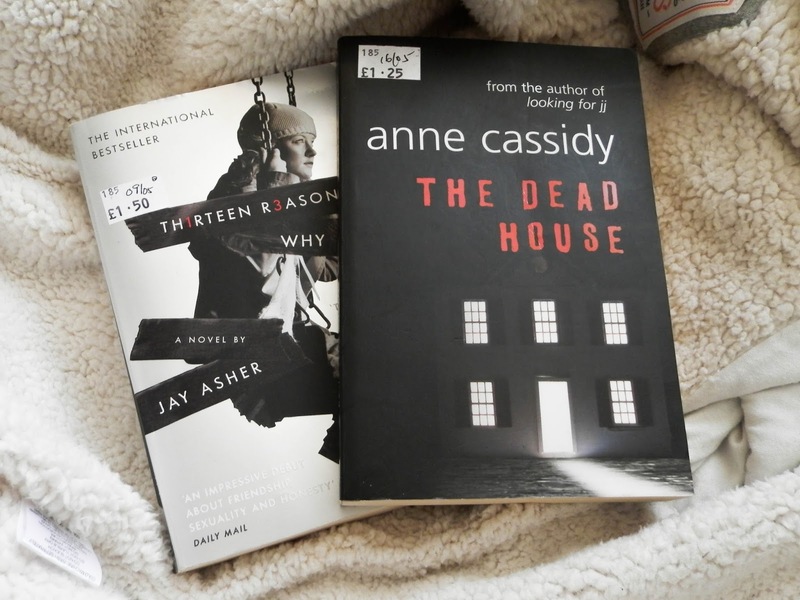 Tithe and Thirteen Reasons Why are both books I read before and loved but didn't review! However, I also DNF'd three books this week. The first was Alice in Zombieland, then The Ghost Bride and Breakable. I don't often DNF books but I just couldn't continue with these. I'm a huge, huge fan of theirs and this has been stuck in my head all week! Cute owl! Hope you enjoy the books you haven't read yet and have a good weekend! Oh dang, I just reserved Alice in Zombieland at the library. >.< It probably won't live up to Splintered for me, but I wanted to try it! PAPER TOWNS IS FABULOUS. I also want to try that Neil Gaiman book. The only one of his I've read so far is Coraline, but I loved it! Heard good things about the Neil Gaiman book. It looks like you had an amazing week. I enjoyed Eleanor and Park and hope you will as well. Alice in Zombieland was very good. Oh goodness. The Sky is Everywhere is an amazing book. I can't wait to read your thoughts on it. I want to read some Neil Gaiman...never read one of his books before. Oops. Enjoy your books! I LOVE Fortunately, The Milk an the owl necklace is pretty! And that owl necklace is so pretty! I love Neil Gaiman! I haven't read Fortunately, The Milk yet, but I definitely need to. That's a shame about Alice in Zombieland, I bought it about a month ago. The cover's so cute. 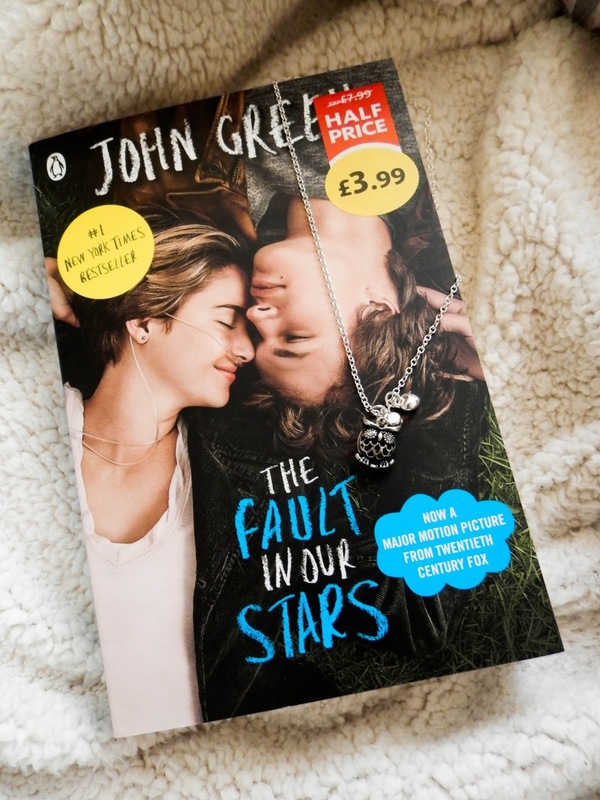 The movie cover for The Fault in Our Stars really does look amazing! Hope it looks just as amazing on your shelves. :D Happy reading! I need to start getting physical copies of my faves! 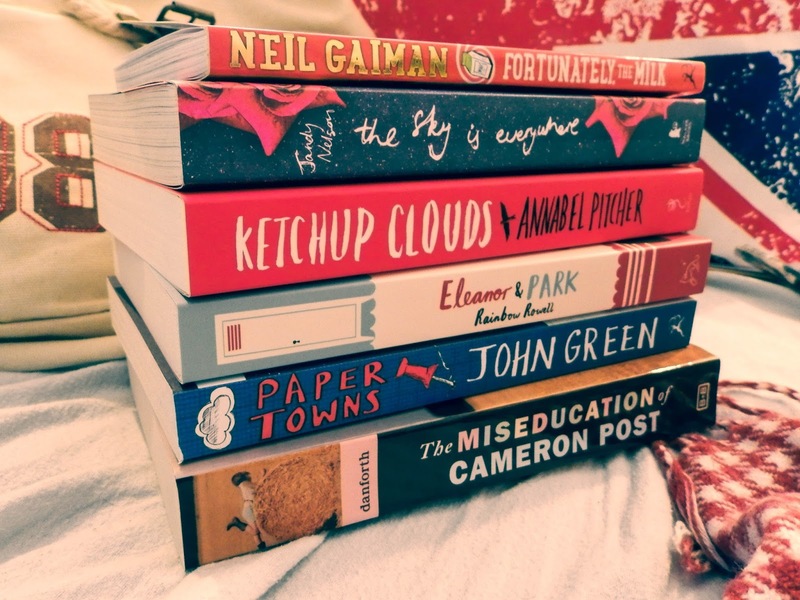 Great book week for you! you got some great deals on books thi week. its too bad those three books didnt work out for you, but it happens. Not sure if the title Ketchup Clouds intrigues me or disturbs me....Regardless I hope you enjoy it and these others. John Greene is becoming such a big name but I still need to read one of his books. Happy Reading!